We believe that children learn by doing. 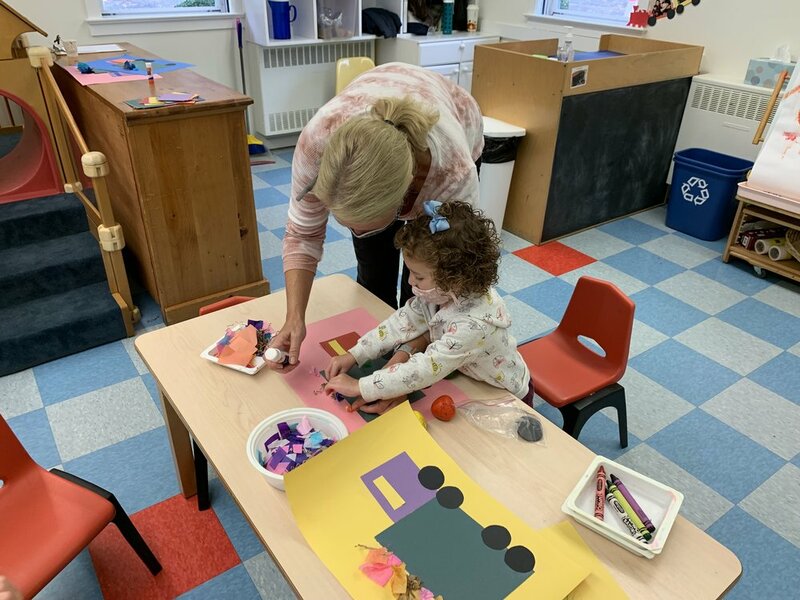 At the Play School, children participate in a wide variety of activities that include music, art, movement, storytelling, puzzles, blocks, dramatic play and more. Our innovative curriculum also incorporates pre-reading and pre-math skills as well as hands-on science, art and music exploration into thematic units designed to promote kindergarten readiness. and provides a strong foundation for learning. Social interaction, language skills, listening and taking turns are invaluable life skills that children learn through play. …to encourage participation in group activities and to prepare your child for kindergarten and beyond. We maintain a teacher-to-student ratio that offers the opportunity for individual attention, and parents are encouraged to share in our classroom activities.